Check our my article on reasons why service providers should start accepting bitcoin today on Medium here. Check our my article on exploring 23andme raw data with Google Genomics and Big Query on Medium here. So my fiancee Jordana spent a few weeks building these really nice boxes for her bridesmaids and I was wondering to myself.. how should I ask my groomsmen? A few things crossed my mind then I thought that it would be fun to have them go through a series of technical challenges in order to achieve this honor. 🙂 Only problem was I couldn’t make it too hard or I would be guiding them through the whole thing. 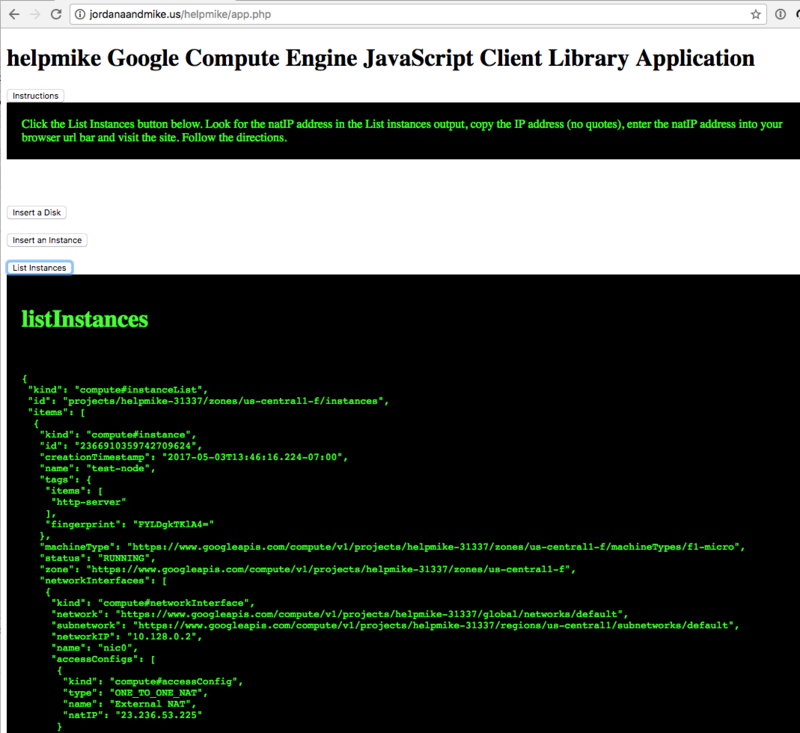 So I decided they would need to do something with the cloud and I would build a small application called ‘helpmike’ to ask them. So to setup the env, first launched a LAMP instance from Cloud Launcher. I then created a small form on Google Forms. I wanted to keep this pretty basic so I took the embed code from the form send screen and modified the default apache page on my Bitnami LAMP instance. 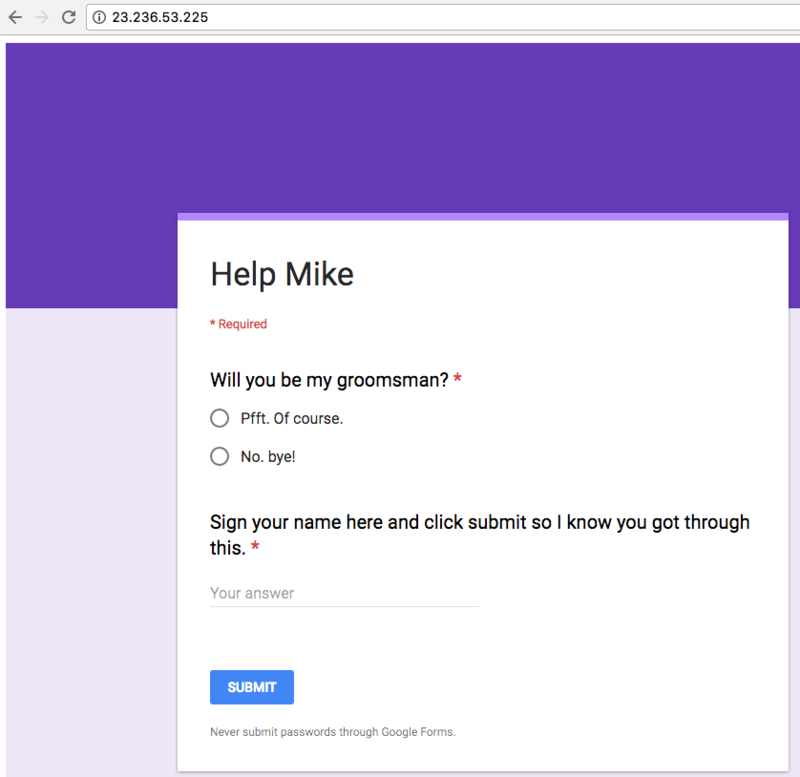 I added each of my groomsmen gmail addresses to IAM so they could access the app. Wrote a bit of instructions in the notification email and on the app and that was it. 1. Move all or most of my personal sites and services over to the new platform, spreading across as many platform services as possible. 2. 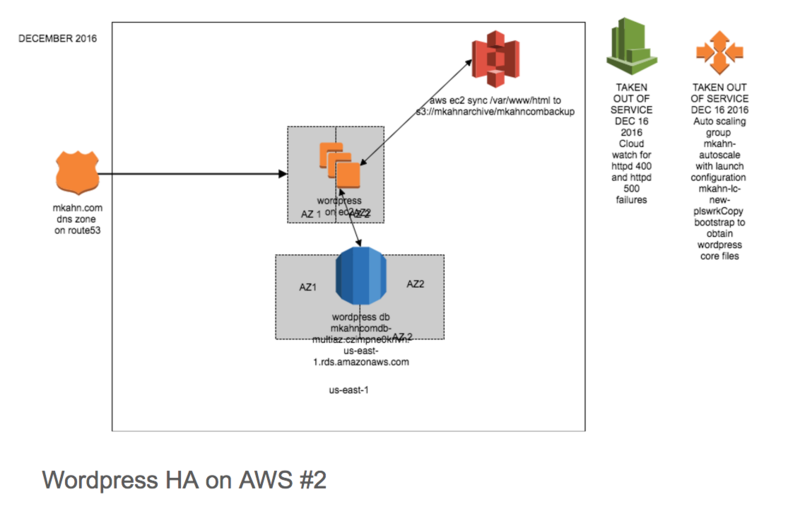 After I have moved as much of my own personal ‘stuff’ as possible over, I usually spend a few weeks or months analyzing performance on the architecture and configurations I have created. There is a more exhaustive routine that I have but for sake of this posts brevity ill keep it to these 6. This level of personal testing lets me acclimate myself with my own use cases then I have a good foundation to easily understand and being building more complex architecture on the platform. 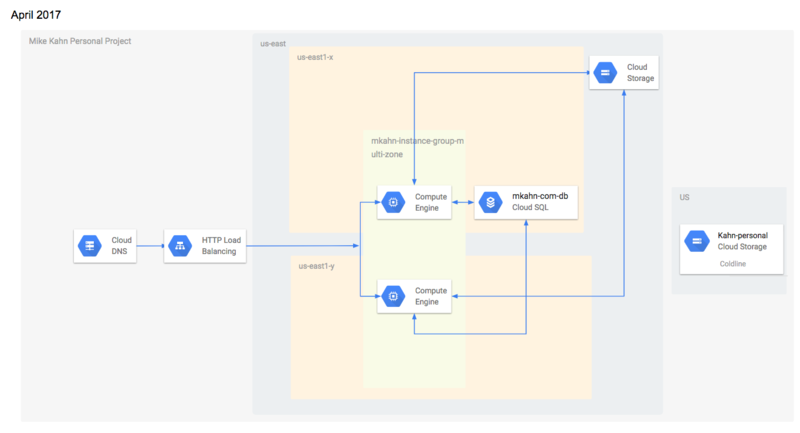 I thought it was a good time to share a few architecture examples and iterations of what ive done with AWS and now with GCP for this site. 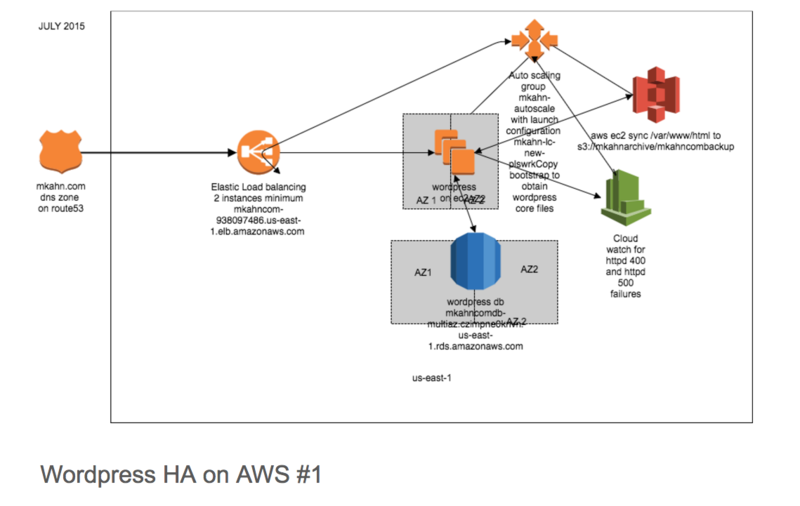 Admittedly I had a lot of credits for AWS so the first iteration lasted awhile! There are a couple more of these that I am working on for other sites and services I run that I will share later. 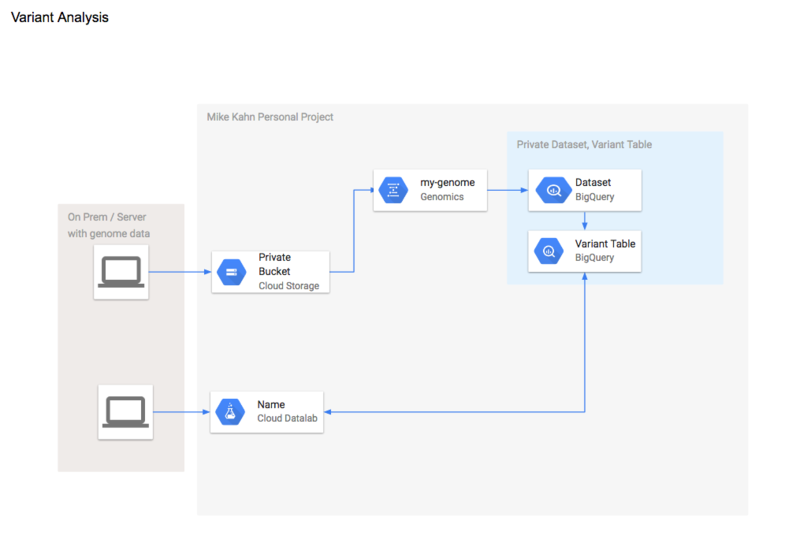 I’m also testing Google App Engine and Google Cloud Storage with a multipart large file upload portal and testing Google Genomics and BigQuery with my 23andme genome data.